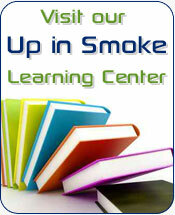 Smoke District is a directory resource for cigarette stores and smoke shops online. Thousands of businesses rely on us every day to find the resources they need to stay ahead in today‘s competitive business environment. In order to preserve the high quality of these online cigarette stores and smoke shops, we require that all listing submissions follow the guidelines below. To submit your site for inclusion in the Smoke District small business directory, simply navigate to the appropriate category and make your submission (use the "add your site" link on the top right side of the page).